Engineering is all about creating! From your computer mouse to an interplanetary spacecraft, Engineers are involved in creating every piece of technology made on the planet. Engineers don't solve the world's technological problems alone - we apply discoveries made by scientists (Engineering is referred to as an 'applied science'). 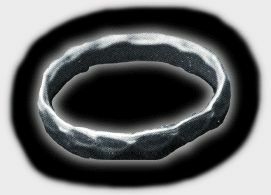 The picture above is of an iron ring, which is worn by Canadian Engineers - read more about the iron ring at www.ironring.ca.